On Tuesday 6th February 2018, we celebrated Safer Internet Day 2018. The slogan this year was “Create, Connect and Share Respect: A better internet starts with you” throughout the day the children took part in a number of activities, including a whole school assembly and individual lessons to both talk and demonstrate to the children about how to stay safe online. Safer Internet day is part of a nationwide event to make children aware of the importance of online safety. Our digital leaders were very busy on Safer Internet Day, have a look at what they got up to. 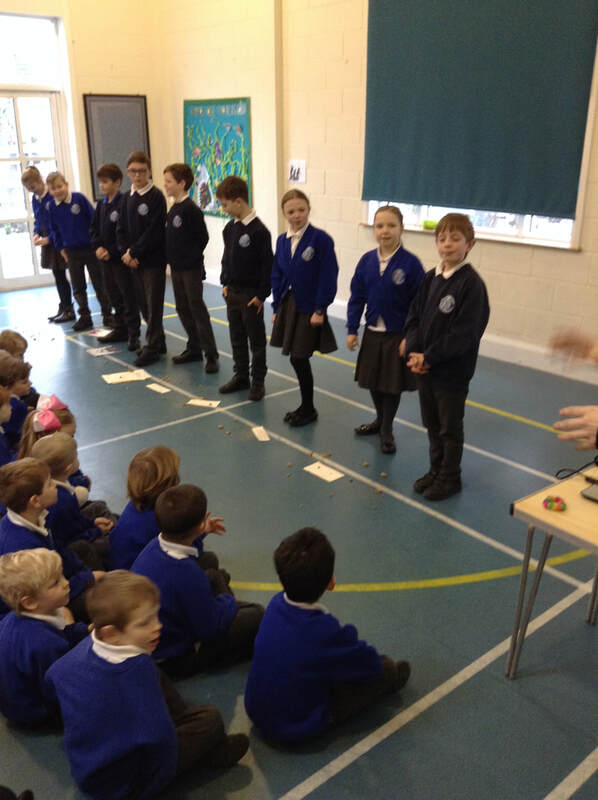 Our digital leaders lead an assembly all about 'cookies'.They explained how we must be careful about what we search and do online as it leaves a a trail of 'crumbs' behind. The digital leaders demonstrated this by crumbling up actual cookies. Not everyone is always who they say they are online. Not everything we see and read on the internet is always true.